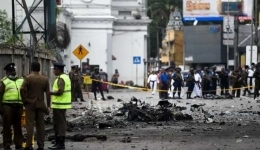 Towards the end of the Civil war in Sri Lanka, he was unaware of LTTE plans to launch Arial attacks on Colombo, said the former Defence Secretary Gotabhaya Rajapaksa. He also noted that during the last days of the war he was never overseas. He said this to BBC Sinhala service in response to a statement made by President Maithripala Sirisena last Thursday claiming that none of the leaders at the time, including former President Mahinda Rajapaksa, Prime Minister, Army Commander Sarath Fonseka or the Defence Secretary were in the country during the last two weeks of the war. “During the last two weeks I was the acting Defence Minister and the victories during that time was the final battle. The government received information that the LTTE was planning to come from Chennai in South India or some jungle and bomb Colombo. That is why all left the country,” Sirisena said in New York addressing the Sri Lankans. 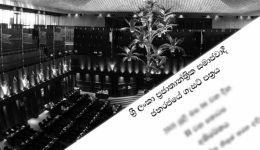 However, Gotabhaya Rajapaksa said that these claims by the President is news to him too. “The President’s claims are new to me and I don’t think the whole world knew about such a plan. I never received such information,” he said. However, Gotabhaya told the BBC that as the President says, “these are false claims”, with regard to the war crimes allegations being levelled during his leadership, as claimed by him, it is up to President Sirisena to free the country from such war crimes allegations. President Sirisena addressing the Sri Lankans in New York. When asked by the BBC if the President should take responsibility for any war crimes that may have occurred during the final stages of the war, Gotabhaya said that he was certain that no such was crimes were committed by the security forces. However, when asked about this claim by the President, Gotabhaya refused to respond. The former President Mahinda Rajapaksa returned to the country during the last stages of the war on May 16, 2009. However, several attempts to contact the former President for a comment, failed. He noted that no one who had fought against the terrorists were charged under his government, adding that however, during the war or after the war ended there were many killings not related to the war. “If anyone had used the tri forces for these crimes, based on personal relationships, then it is very wrong,” Sirisena said. He said that while the law is being implemented against certain tri forces personnel, this is a true respect for the true war heroes. The Army Commander Mahesh Senenayake in a previous interview with the BBC said that after the war those who are using the war hero title to commit crimes is a blemish on the reputation of the true war heroes. 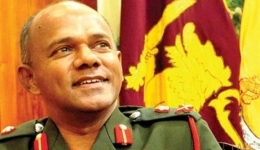 Army Commander Senanayake noted that although he was certain that the military had not committed any war crimes, if any individual had committed such crimes, he was unafraid to investigate them. “If there are allegations, it is our duty to render our assistance. 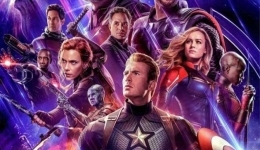 We are ready for that and the military need not hide anything. I say this because I am certain no war crimes were committed,” he said. Allegations levelled against the Chief of Defence Staff of aiding abating a suspect. 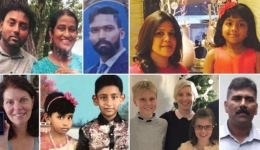 Meanwhile, the Chief of Defence Staff Admiral Ravindra Wijegunaratne is facing allegations of having aided and abated a suspect to abscond from the law in the case relating to the abduction and disappearance of 11 youths in 2008. The police told court recently that a Lt. Com. Of the Navy had been receiving death threats for having testified against the Admiral.